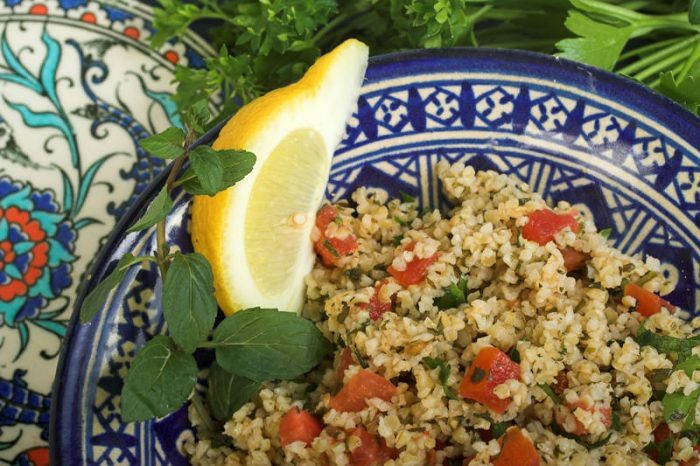 Originating from Lebanon, tabouleh is one of the most popular salads from the Middle East. Usually served as part of a meze, there are regional variations but most salads contain a mix of bulgar wheat, tomatoes, onion and herbs (mint and parsley), with a lemon and olive oil dressing. Delicious served with warm wholemeal flatbreads or pitta. Follow a recipe; follow food safety & hygiene rules; tidy away; use measuring spoons and cups; chop using bridge/claw technique; snip herbs with scissors; use a citrus squeezer/zester; garnish and decorate. Knife, Chopping Board, Bowls, Spoons. Place the bulgar wheat into a small bowl and cover with 50 ml of boiling water (ask an adult to do this). Stir and then leave to stand for 20 minutes. De-skin the tomatoes by scoring a small cross in the stalk end and placing in boiling water for 30 seconds. When cool enough to handle, peel off the skin, quarter and de-seed. Chop the remaining flesh and place in a bowl. Add finely chopped parsley, mint and onion to the bowl and mix well. Fluff the bulgar wheat up with a fork and add it to the tomato mixture. Drizzle over the olive oil and lemon juice, and mix well to combine and cover all of the ingredients. 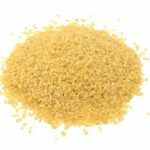 Bulgar wheat is simply cooked grains of wheat; dried and ground to a coarse texture. It is low in fat and a useful source of fibre and B vitamins. Tomatoes contain plenty of vitamins and minerals. 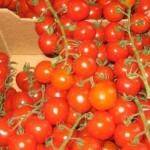 They also contain lycopene, an antioxidant which can help protect us against certain diseases. Herbs are healthy seasoning we can add to food for flavour. Many herbs are good sources of antioxidants; compounds which have been found to be extremely beneficial to health.